At Red Hill Dental, we offer every aspect of preventive dentistry. 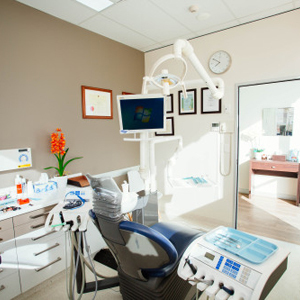 Our check-up includes a dental consultation, a thorough examination of your teeth and the surrounding tissue and bone, X-rays, a ‘scale and clean’ using special instruments, and a fluoride treatment. During your examination appointment, Dr Henry will check on any old fillings or crowns for structural damage that may cause you problems in the future. He will also evaluate your jaw to assess how that joint may be affecting your bite and evaluate each of your teeth to determine if any infection, cracks or decay is present. Dr Henry will also recommend a set of diagnostic X-rays to ensure the inner structures of your teeth and jaw are healthy and free if infection. Your health is our top priority. Dr Henry is trained to identify early warning signs of oral cancer that are commonly missed or misdiagnosed, and will check your mouth carefully for any of these signs. It is important to have your teeth professionally cleaned at least twice a year. In a professional cleaning given at Red Hill Dental, special instruments are used to clean your teeth and gums in a way that you can’t do at home with a toothbrush and floss. Patients with gum problems or significant decay many need more frequent professional cleaning. The plaque that is left behind after brushing hardens and turns into calculus, which can further harden and irritate your teeth and gums. Our hygienist will carefully remove the calculus and give you home-care instructions on how you can help reduce the plaque build-up. If you’re in need of a general clean, please give our practice a call to schedule your appointment.